How long does a Reconsideration request take to process?. Google rolls out its algorithmic updates on a regular basis now. And it impacts a lot of websites positively, as well as negatively. Although the negative effect might be because of shady practices or spam action, it could also be a mistake, for which Google offers webmasters an option to file a reconsideration report. So if you think your website has been unduly penalized, or maybe if there's a misconception from Google's side, you can use this option. But some people have been submitting and submitting reconsideration requests, but don't hear anything about it for weeks, or even months. So how long does Google take to actually process a reconsideration request? First of all, if your requests has not been considered for a long time, say like a month or so, then it's not normal. You should submit a reconsideration request again if you don't hear in two weeks or so. Sometimes, usually when Google is sending out a new kind of message, a lot of requests might get piled up, so you might want to wait a bit more. But if a month or two pass by without a reply, then its time to file another request. You can tell something is wrong when you don't get a confirmation email right after you file your request. This means that maybe the request didn't go through properly, or there was an error on server-side. 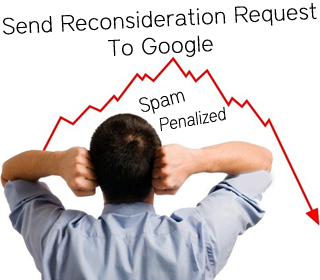 Typically, there are three types of responses you can get from Google out of a reconsideration request. First, you might get a positive response about your domain, saying that your domain seems fine, and hence the penalty has been lifted, and you are now good to go. You can also get a negative answer, which means that your request has been disregarded, because there are still issues with your site. And if Google is still working on your site, you will get a message simply saying your request has been considered. It won't say yes or no. This means, that Google has looked at your website, but hasn't found any reason to disregard your request. But while some part of your website was fine, the other part might have some other issue, such as a technical issue. So Google will take a closer look, and then let you know. I thinks its better if you just forget google for now and work on other ways to get traffic and make money - worrying about google will just make you go crazy. You posted editorial How long does a Reconsideration request take to process? which gives users bunch of information concerning meticulous subject recognition for this allocate. A superb club having facilities of sports, swimming pool and various other amenities is also an attractive factor of DLF Garden City Lucknow. Iridia Noida | Horizon Eternia | Horizon Concept Pvt. Ltd. Horizon Concept Pvt. Ltd. - Presenting - A living Concept that is Above the Ordinary. Inspired by the Grandeur of the 325 Acre Majestic Forest. Iridia Noida, Horizon Eternia. Iridia offer all types in sector 86, Noida expressway, Noida. For Best Rate, Iridia Noida, Iridia Horizon Concept. Iridia Presenting affordable all types of Residential Property in sector 86, Noida expressway. Iridia Presenting Affordable all Types of Residential Property Iridia Noida, Sector 86 Iridia Horizon Concept in Delhi Ncr Noida.